The Paisley pattern is a unique look that comes from Persia - but it became popular in the U.S. during the Summer of Love. The Beatles sported Paisley when their music took a psychedelic turn in the sixties. If Paul, John, George and Ringo thought it was cool - so did everyone else. That still holds true today. 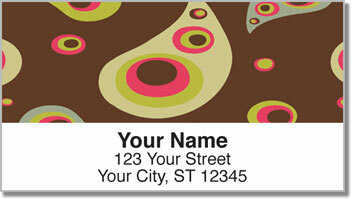 These mailing labels may be a throwback - but they also display your timeless taste. 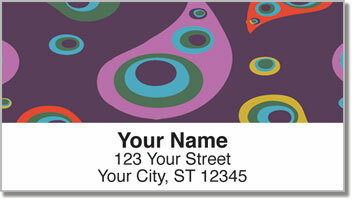 Stick them on all your outgoing mail for a groovy finishing touch. But what you'll really love is the fact these labels are self-adhesive. 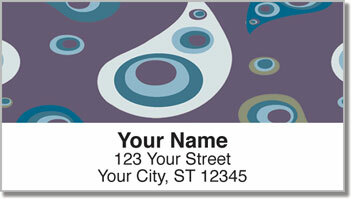 That means all you have to do is peel and place one on each letter or package you send. 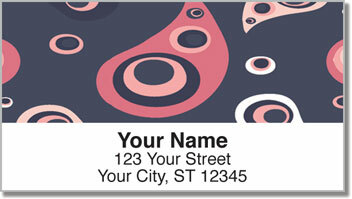 Get your very own Retro Paisley Address Labels right now! Matching checks are also available.